Endurnýtanleg bogacare® MICRO CLEANING PAD er helst til þess fallin að hreinsa um augu og eyru. Hágæða örtrefjar draga í sig óhreinindi og þökk sé bakteríudrepandi silfurjónatækni þess, kemur í veg fyrir útbreiðslu skaðlegra baktería. 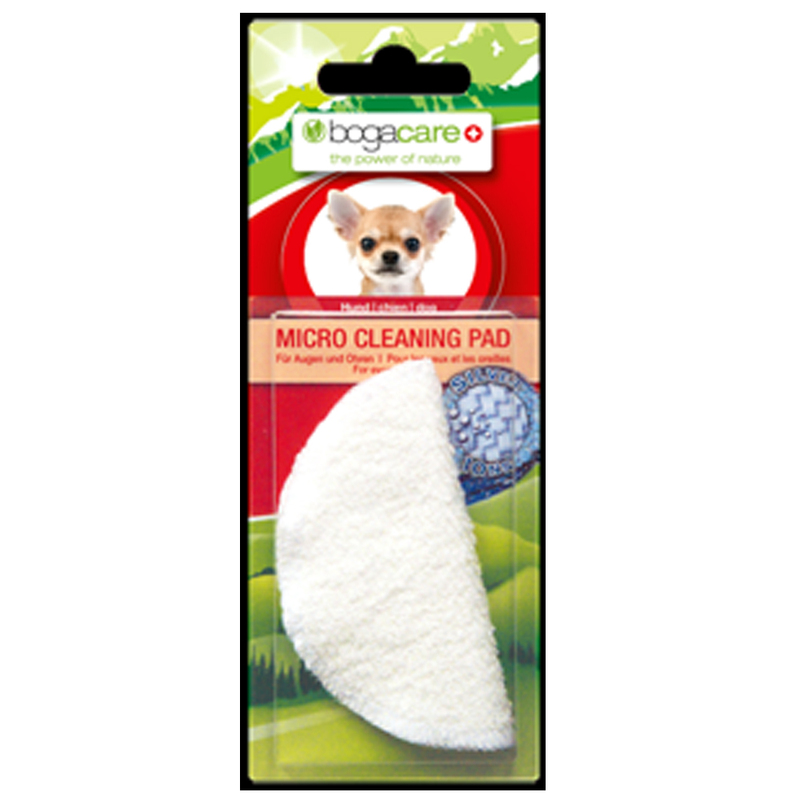 Moisten the bogacare® MICRO CLEANING PAD with a liberal amount of bogacare® PERFECT EYE CLEANER. Soften up and remove any dried crusts. Wash out with water after application. When used daily, replace the PAD after 8-12 weeks.